Kensington Palace released four beautiful photographs ahead of Princess Charlotte's birthday tomorrow. My favourite photo from the set is the one below showing a smiling Charlotte pushing her walker across the lawn. It's a delightful 'family album' photo and she looks simply adorable with a pink bow in her hair. It also looks like Lupo was eager to get in on the action, making the background of the photo. What do you think of the photos? I thoroughly enjoyed seeing them and thanks to the selection of four we were afforded the opportunity to get a glimpse into Charlotte's personality. She's changed so much in the last few months and appears to be having a splendid time exploring around Anmer. And...how cute are those expressions? Charlotte's pretty blue dress is also from Spanish brand M & H. It is from their FW15 Collection (below we see it in pink). 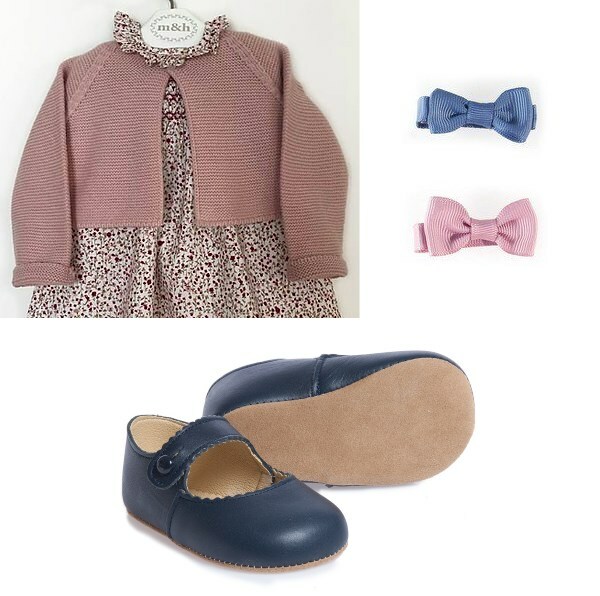 It was worn with the Princess Charlotte Cashmere Rose Stitch Cardigan by Olivier Baby and Kids. 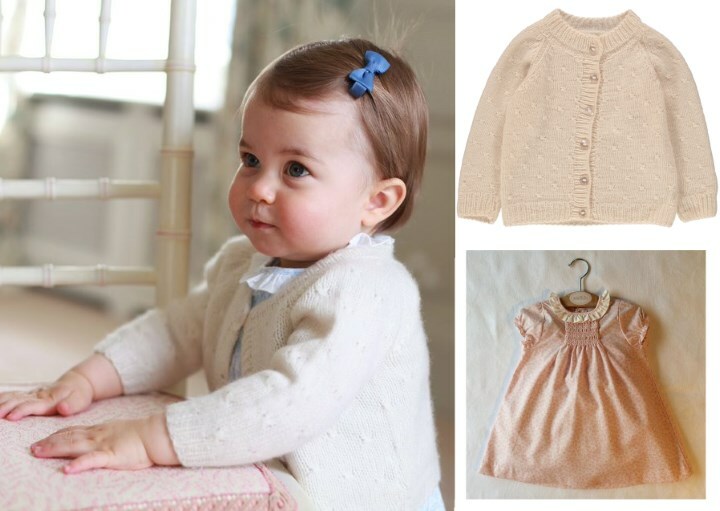 The wonderful team at Prince George Pieces have been busy identifying Charlotte's outfits. 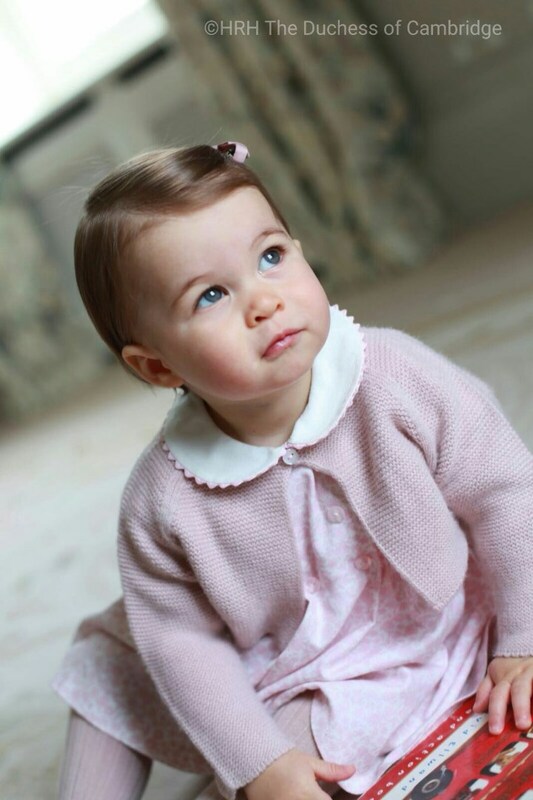 The Princess wore her pink M & H cardigan, and Amaia Kids tights from the Queen's birthday portrait. Charlotte's navy shoes are the Early Days Emma Pre-Walkers. As for Charlotte's precious bows, it is thought they are also by Amaia Kids, retailing for £2.50. 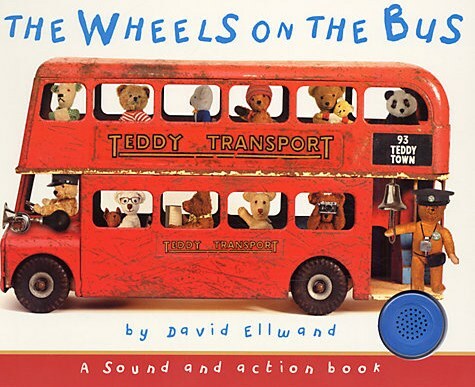 In one of the photos, Charlotte was holding the popular The Wheels on the Bus sound and action book. 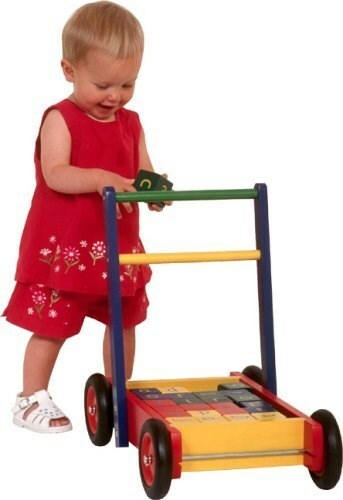 As for her walker, it's the $145 Walker and Alphabet Blocks by Pintoy. Big brother George's first birthday portraits were taken at the 'Sensational Butterflies' exhibition at the Natural History Museum by press association photographer John Stillwell. The Prince was depicted toddling towards the camera with his arms in the air. Three photos were released in total - two with William and Kate included. It's hard to believe its been a year since Charlotte was born. Who will ever forget this day? Princess Charlotte Elizabeth Diana of Cambridge was born weighing 8 lbs 3 oz at 8.34 am. 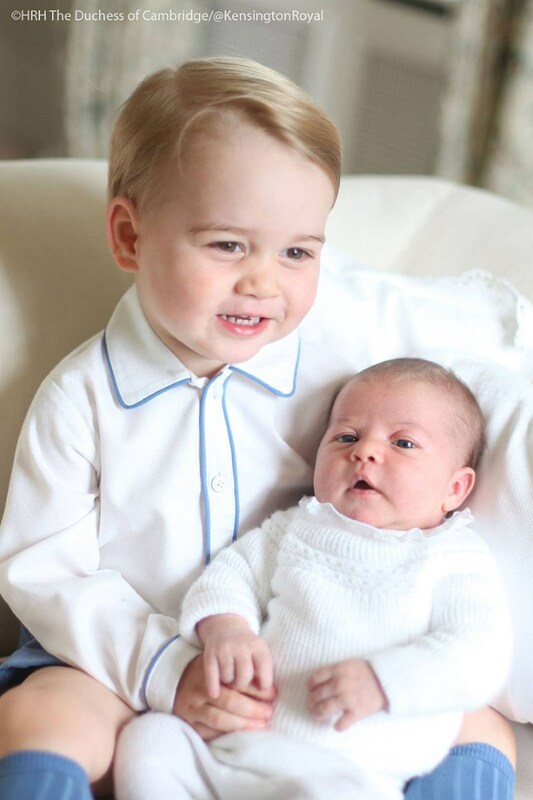 In June, photos of George and Charlotte taken by Kate at Anmer Hall were released. The Princess was baptised at St Mary Magdalene Church on the Sandringham estate in Norfolk on 5 July. A mother and daughter christening portrait by the one and only Mario Testino. 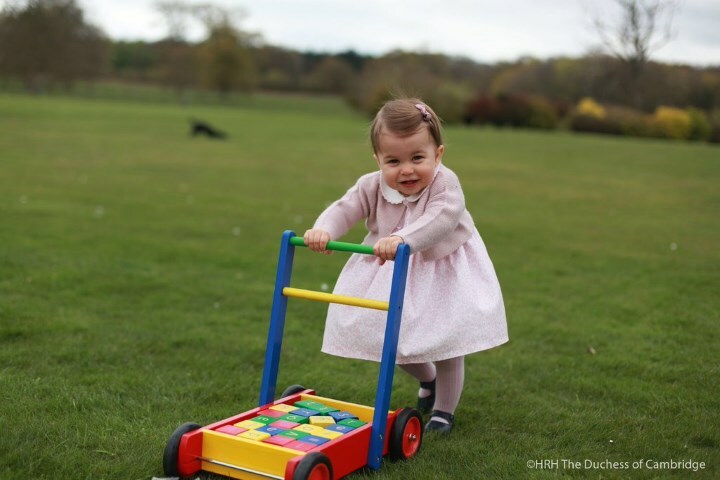 Photos released in November showed a smiling Charlotte playing with a toy at Anmer. Another precious smile for the Cambridges' Christmas card photo. The family enjoyed a ski holiday in March. It was the first time either George or Charlotte had played in the snow. And sitting on "Gan-Gan's" lap for the Queen's 90th birthday portrait. It's been a wonderful year, the Princess has grown so much. 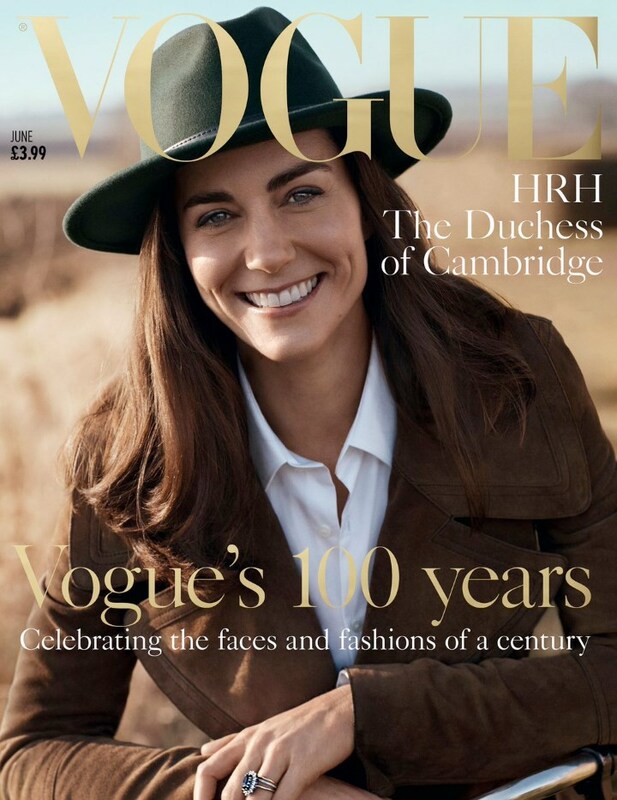 If you're just joining us, yes, the Duchess is gracing the cover of Vogue; click here to find out more on that and enter to win a pair of Kate's Bow Gloves. Someday in the future Charlotte may even follow in her mother's footsteps and also feature on the cover. We'll see the Duchess on Wednesday - she has three engagements throughout the day. Lovely pictures. She has the most beautiful eyes. I agree. Cute little tot. How interesting Charlotte has Williams beautiful blue eyes and Geroge's eyes are more like Kate's. Loved all the pics over the last few weeks. Great to know some of the things Kate's was doing during her time out of the public eye during the winter. I guess it must be quite chilly in Great Britain in April. Do children have to wear sweaters inside their own homes all the time? I don't know about Beitain but the weather (in Europe) is quite crazy this year. Here, it was snowing last week!! I was so shocked! About 10 years ago, it was usually getting qarmer and warmer towatds the end of April. Crazy weather! I'm in the NW US, with a similar climate, and I definitely wear a sweater in the house, especially if I've got short sleeves on. Well, I'm in Sweden and I definitley have cardigans on in April unless there is some super-summery day. I read that the circum-polar winds have shifted south because it is so warm in the Arctic and this is pushing the colder air further into Europe and the Americas. In New Zealand it is Autumn now but still really warm. In fact for the past few months we are having the warmest weather ever recorded and can still go without any heating at all in the house because the Pacific Ocean is warming up around us. I'm afraid climate change is well under way! What lovely photos! Princess Charlotte looks so much like her father (I think for his birthday portraits at this age Prince George looked more like his mum). I love that Kate took the pictures (and the ones they've shared previously - I feel like it gives us a chance to see the children through her eyes. I agree--I think Kate taking the photos makes it more personal. So lovely. I agree, Rachel! In these pics I see a lot of William as a child in Charlotte's little face! It's wonderful of them to share photos of their children with the public (I'm of the camp that believes that the children's privacy is important, royalty or not) & even more so that Catherine took these herself! The background details taken inside the house are well and truly blurred. However you can see enough to confirm that Catherine likes the French Country look in interior decoration. I love that child size white cane chair. I wonder if the photo is taken in the day nursery? Omg! Charlotte looks very adorable! And Kate did a great job with the pictures! Kudos! What a treat! My goodness, what a fantastic few weeks, the photos just keep getting better and better!! I think Charlotte is just adorable. Such a sweet baby. My favorite is the first one of her holding on to the chair. Her expression is so sweet and her cheeks! Just like her brother's. I also love the one in the garden with Lupo. What a happy smile! These pictures are perfect, Catherine captures wonderful shots of her children. I've always thought Charlotte is very Middleton. Even on the queen's lap, when a lot of people thought she favored the Queen, I thought she was all Carole :) I still think so, especially with these pictures, although I see a little Windsor too. I can't wait to see how all this changes as she grows up. Kate really does take great pictures of her kids!! I love it, actually prefer it. Except it means she and William are not in the pictures :P But I prefer her pictures so far. I thought the same thing re: Charlotte's cheeks being just like her big brothers. =) She's got a lovely combination of brown hair and blue eyes. Love too, that she wore some blue this time, too. Love!! So much better than professional photos! Appreciate them letting us see photos. Those cheeks remind me of Kate's baby pictures. Thank you for the lovely post Charlotte and the great positioning of the photos! My favorite is the first one where Charlotte seems to be looking at someone off-camera (Daddy?) with a mischievous little half-smile on her face. And of course a Lupo sighting is always welcome! Those eyes of hers are gorgeous! Someone asked if British children always wear cardis in the house. Yes, a lot of the time. Brits don't heat their homes like Americans do plus Amner is a big house. The treats just keep coming. Charlotte you are amazing. I love these pictures. What a precious little girl. It is wonderful that Kate is such a terrific photographer. She captures such lovely expressions with the children, and of course they are completely themselves with her. These are just beautiful. What a precious sweetheart! I see a lot of similarities between her and Georgg, except for the eyes. They both have the cheeks for sure! She's simply beautiful! I have to admit that until I saw these pictures, I did not think she was cute (other than in the way that all babies are cute) especially in the photograph with the Queen. But in these photos she is adorable! 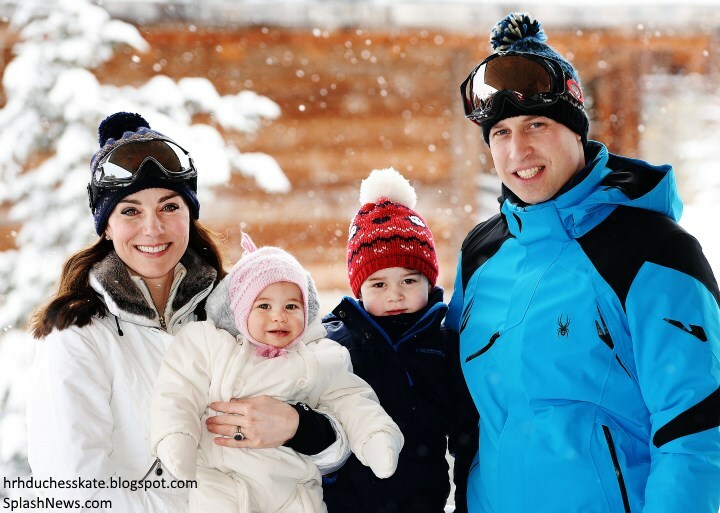 Please take this with a grain of salt, but I have heard that William and Catherine choose to dress the children as they do for photos (more formal and old-fashioned) so that they are less likely to be recognized when they are in public in "normal" clothing. If it's true, I think it's a great strategy. It also creates photos that aren't full of current trends. I think that Catherine just dresses her up in her best clothes for these special photographs and she will have more ordinary play clothes. The Swedish little princesses wear very similar dresses in their photographs. And yes, this style is quite old fashioned. Smocking seems to having a comeback. I agree Annette. And in Sweden for almost every photo and special occation princess Estelle has worn Victorias or Madeleines old clothes. And William and Kate seem to follow that traditional strategy except it doesn't seem that they have the same clothes saved and/or they don't fit. 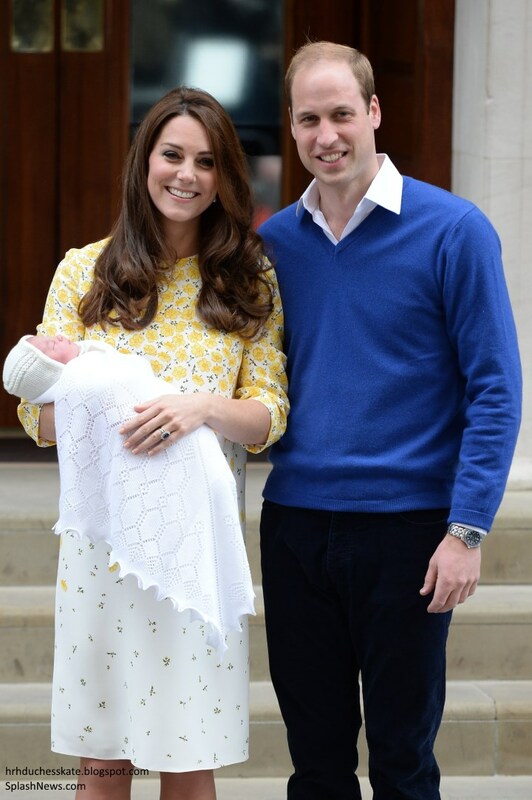 Plus, for Charlotte there will be no family clothes since William and Harry are both boys. So I think this fits with how quite a few royals do it. In spain, the Infantas are dressed rather modernish but always in matching sister clothes. In the netherlands it's just this year that for official occations that the 3 girls have not been dressed in the same clothes (oldest is 13! ), Sophie and Edward dressed Louise in frilly dresses and Mary Janes until 1 or 2 years ago, the same time Louise started wearing hats to church etc. So I think this is the traditional way to dress royal kids. It is not just royal children that wear these styles of clothes here. It's very common in the Southern part of the US to dress children in smocked dresses/bubbles/john johns not just for church and formal occasions but for everyday outings too. Kate's style would fit in perfectly -- except we have very little need for sweaters this time of year! My daughter (7 months) is usually dressed in a smocked dress or bubble. There's only a short time where you can dress them as you want! Please tell me. What are "bubbles" and "john johns"? just when I think it is so great we can all communicate so easily, some difficult words pop up! I live in the Unite States, Annette, and I have no idea what kind of clothing bubbles and john johns are! In the NE US we call them rompers. Up dressing for pics. There are pic u can see PG playing- he does notwear this kind of clothes. It is impossible to generalise about children's clothes here. Too precious, really!!! 2 treats in such a short time!!! Thanks so much, Charlotte, for sharing these adorable pics!!!! I've had an amazing morning. First came to blog to see Kate's Vogue cover post. Then went to twitter to see these picks. Came back to the blog and sure enough, Charlotte had a lovely write up waiting. Thank you William and Catherine for sharing these beautiful photos. PC is a gorgeous little girl. She is going to have striking blend of features from both W&K. Adorable! So nice to see 4 pics. These photos show the similarities with George, more than the Easter photo with the Queen. To me, they clearly look like siblings. Thanks, Charlotte! You are certainly being kept busy recently. I just knew that Catherine was going to take the picture of Charlotte. I enjoy these so much more then George's 1st birthday pictures. Baby Charlotte is so adorable!! She has the cutest face! Let the hope May is as exciting as April! Did you ever see them?? How many people live in Anglesey? About 70 thousand people I think. I didn't see them, although I know a lot of people who did, my daughter was shopping alongside Kate in Waitrose & went through the till straight after her, my daughters car was also parked next to her's (and body guards) in the car park. My next door neighbour saw William & Kate shopping together in same shop, my best friend bumped into her at the end of an isle in Tesco! They just mingled in with everyone here, if when they were seen, they were left alone. thanks Ann, how cool is that that they got to be out and about like that. As much as I love you photos, these photos I was really hoping for at least one or two family portrait. Do you think they will release them tomorrow? Beautiful photos indeed! What a sweet little girl. Charlotte resembles William, but I see Carole's eyes and ears. Love the BLUE outfit on her. Princess Charlotte is such a precious child. I love that the Duchess takes the photographs. We get to see how happy and loved both of these sweet children are. Adorable little girl and such love is evinced in the photos. Her eyes are really beautiful and her face is a very delicate mixture of all the genes. You can see almost all the grandparents and great-grandparents somewhere in there. 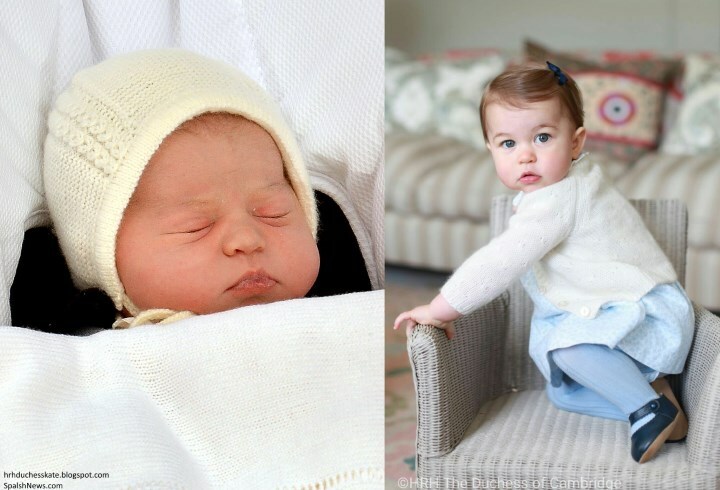 Charlotte really looks like a young Prince William in the first pic! I may be the only one who thinks so, but put some medium brown longer ringlets around Charlotte's face is she could be a twin to photos of the Queen Mum at that age. That's always been my thought about that 17:23. I think that will become obvious as Charlotte grows. After reading your comment I looked up baby pictures of the Queen Mother and you are right! Princess Charlotte really favors her! She doesn't look like baby photos of the Queen, though, in my opinion. I think Charlotte and the Queen Mum could be twins at this point. I think you are all right! Even in photos of the Queen Mother in her 90's you can see Charlotte's face, esoeciallly her gaze. Queen Elizabeth must be tickled about this. high 50's to low 60's during the day. Between 38 and 45 at night. Definitely sweater weather. I can't choose any of these pictures as they are all so lovely. In each , she has a different expression. She looks very much like her father now. But we know that it changes all the times, as babies grow up. Absolutely adorable! Thank you for sharing these. I see both families in this child. Happy early Birthday to one of the cutest little girls in the world! Beautiful princess... I love the pink outfit! She is a complete "Mini-me" of the Queen! No wonder the Queen is so interested in her, she probably feels like she is looking in a mirror! WONDERFUL pictures! KP wasn't kidding a month ago when they said they have many surprises coming up! By the way Charlotte, the pictures always look so beautiful on your blog. Big and beautiful! Our weekend has been made:-) ..... and there are four of them! Lovely photographs. I especially like her in the blue dress. It compliments her coloring nicely. She changes so much from photograph to photograph. She looks so much like her brother in these. I know a lot of people think she resembles Carole Middleton but I do not see it at all. I think she has her mother's eyes. They look grey blue now, so they may end up being close to the DoC's shade. Anyway, the DoC has released a beautiful one year tribute to her daughter. Those pictures are precious!!! I looked a little closer at the one of Charlotte on the Queen's lap and is that a ring on Charlotte's finger? don't know if that went through. It is part of the toy horse, not a ring. Today's have been my first posts, although I've followed this blog since the beginning! I'm not much of a commenter, although some of the more "spirited" posts have made me want to get involved just to holler at a couple mean-spirited folks out there. I refrained... It'll be easy to remember my first comments were on Charlotte's first bday! Ohhhh, that little girl - she's definitely Windsor to me. George IS Michael Middleton! OMG Princess Charlotte is soo cute! It seems to me that little Charlotte has Diana's eyes. Do you think I am wrong? You are not wrong Paola if that is what you see, that is what you see. Some may agree, some may not. A purely subjective situation. I see it too Paola! I think she has darker eyes. More like a blue version of Kates families eyes :P But she's still young so might change alot. Thanks Charlotte for the post who is the little girl standing beside George and the Queen? Savannah Phillips, Princess Anne's oldest grandchild. That is Savannah Phillips (Princess Anne's eldest granddaughter.) Isla Phillips, Mia Tindall, James, Viscount Severn and Lady Louise Windosor are shown in the full photo. Thank you both for your replies she is a beautiful little girl. 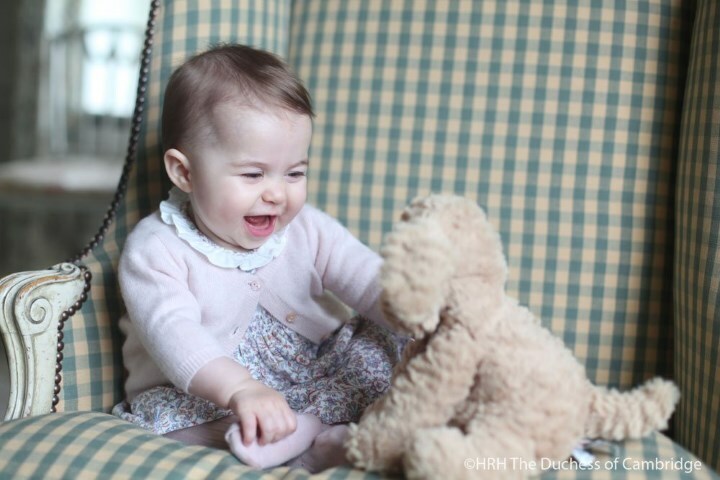 Oh, Princess Charlotte is so cute and such a sweetie! Great pictures made by the Duchess. I see HM the Queen in the little Princess, together with both her parents. Thank you so much for the post. I'm sorry but don't like the pictures of the Duchess for Vogue - it seems to me that it's just not her natural self. I really prefer her "ordinary" and more natural look. Zora, I so agree with you about the magazine photos. They look so peculiar. You think Vogue would be nice to their guests. Thank you Charlotte for a couplw of great posts. 1. The increased focus on mental health with the bullying is so good to see. Perhaps the next decade or so will see an international focus on mental health, rsther than the last few that were environment. I think after obesity induced diabetes with all the cardiovascular, renal etc complications mental health problems are our next biggest health issue. 2. I liked the Vogue photographs and didn't mind the eyebrows. I guess if that is how Vogue wanted her made up that is what we all will be doing in the next little while. I have serious coat envy. 3. 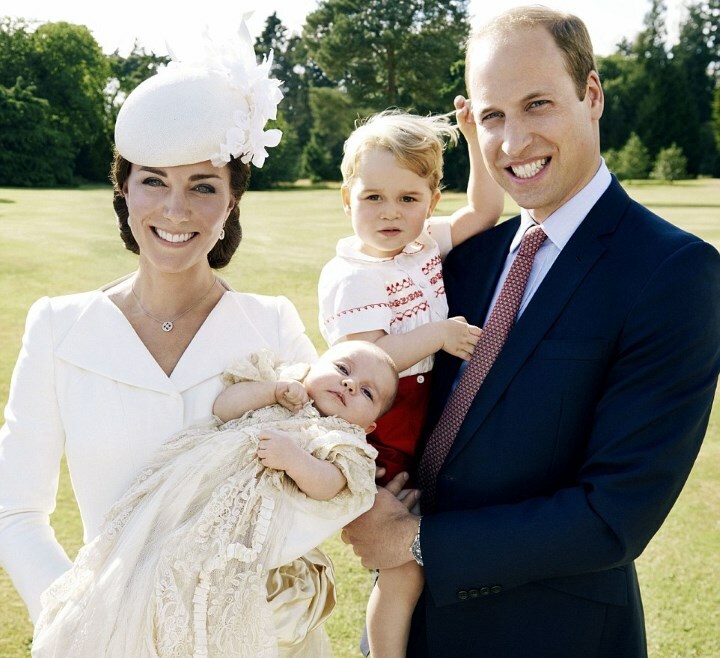 So glad that the birthday photos of Princess Charlotte's were by photographer Kate Middleton. Lovely shots and lovely to have four. Someone commented about the blurry background - most portraits are shot so that all the focus is on the person and if one does that the background blurs. Can't have both. Something I quite enjoy about these photos of Charlotte is that it gives us yet another glimpse into the interior decoration of their home! Yes! Little by little we are getting these tiny glimpses. A couple observations that don't come up often...the last few photos of Charlotte before this set give evidence she was teething, thus the red cheeks and uncomfortable smile. These photos show her natural face and similarities to Diana as a baby & child in the eyes. What horrible eyebrows the Vogue makeup artist gave Kate! I like her without a lot of eye makeup, but the eyebrows - geeze! Yay, Lupo is obviously holding his own with George. Kudos Lupo. What amazing photos Kate. You did a REALLY good job. Thank you so much for sharing. It's Vogue...you know the leading worldwide fashion magazine. The photos are fashionable, gorgeous and very complimentary to an already beautiful face. I have to agree with you. They were and continue to be the first thing my eyes go to. Little Charlotte is a doll! I love the pictures Kate takes of her children. Lately, I feel the professional photographers are getting it wrong. 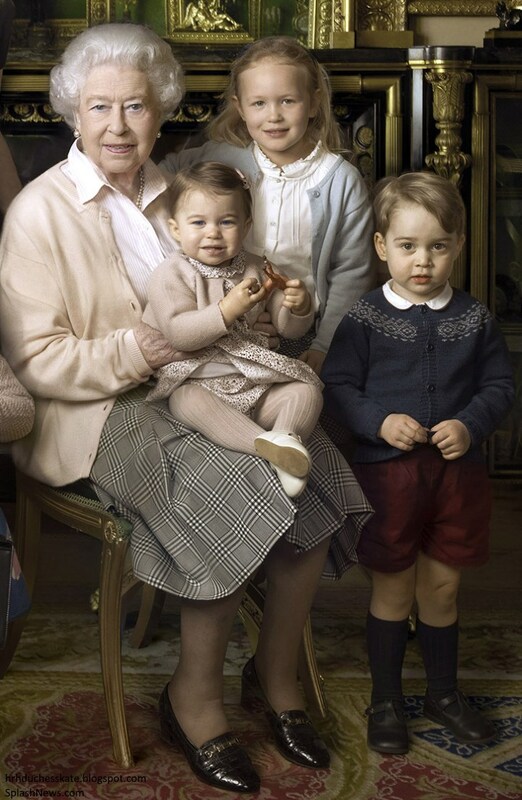 I'm an outlier, but I didn't like Annie Leibovitz's photo of the Queen and her grandchildren/great grandchildren. Why would you style such lively, adorable children in a dark and formal setting? The royal family has beautiful castles with spectacular gardens. The Queen enjoys being outdoors, and it's a natural setting for children. Can you imagine the gorgeous photos that could have been captured? The Vogue cover is another missed opportunity for an iconic shot for their 100th anniversary edition. Kate is beautiful and very photogenic. She's probably the most photographed woman in the world, and this was a rare chance to capture her in a unique and spectacular way. Diana's covers were arresting. They grabbed your attention because they were unlike any photos we had seen of her. I wish Kate's Vogue shots were more imaginative. According to reports (no clue how reliable) the Queen wanted the picture to feel like an old oil painting. And if that was the direction, Annie did a great job. Ha! I hate when duties interrupt my fun. I didn't mean to leave you hanging, Anon 16:41. ;) I was going to go off topic and mention how pleased I am with the causes they've chosen to highlight and their increased visibility. The video of Harry and the Queen was delightful. I'm reading a book about the Romanov family, and it reinforces the importance of being seen by the people and actively engaged (which the Romanovs failed to do sufficiently and ultimately contributed to their downfall). Here we are a century later and those things remain true today. Royalty must be visible and their contributions recognized in order to stay relevant and in the good graces of the people. Kim - you are not alone. Not fond of the photo. Have no issue with the setting or lighting. I get it was meant to be formal and like an oil painting. But the faces...ugh...so stiff and somehow off. Contrast PG with the stamp photo and PC with her birthday pics. Doesn't even look like the same kids. I was telling friends it reminded me of the famous portrait of the Spanish Royal family, Las Meninas-from centuries ago. Then I saw a poster say the same thing. It's just so odd. From googling some of Josh Olin's other "work" I better understand now why I dislike his cover photos so much. Seems to me he is less about subject and more about his mood. I don't like his mood. ooooooh, I don't like his work either. What a beautiful little girl and what lovely photos. Couldn't be any better in my opinion. Wasn't sure we were going to even get any photos. So thankful we did. 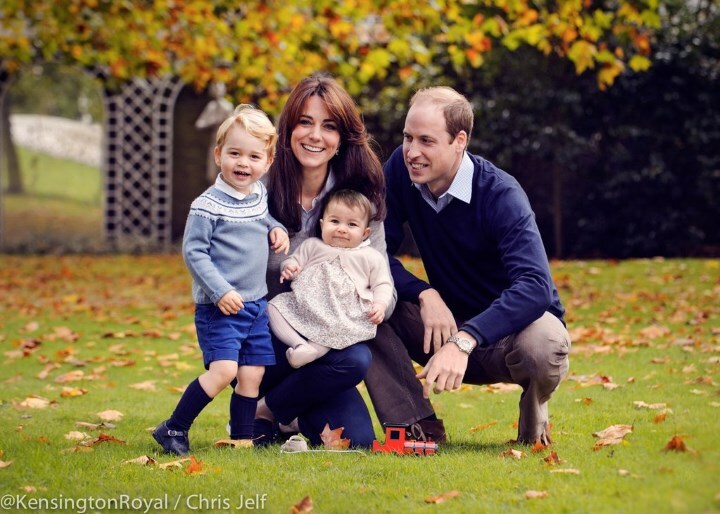 Charlotte looks strikingly like William in these photos. She has her mother's hair. She is a beautiful blend of both her parents. Beautiful little Princess! Thank you so much for making my day, dear Charlotte! Last year, I was hoping she would be born on May 6th as it is my birthday. LOL! :) But she chose to come earlier. I was overcome by the joy I felt then. I love George dearly but I was hoping for a little Princess this time. And she was, a true bundle of joy! What is next on Kate's schedule? Thanks Rebecca. I have an IPhone and can't access those (as far as I know.). Yes Happy Blogiversary to you and this blog, Charlotte! You rock! Wow! Five years of great reading has gone by so quickly! Charlotte, happy anniversary to you! Thank you for always doing a brilliant job with writing and the information you provide. You have put so much energy and thought into the blog and your work is second to none. You deserve a celebration! Congrats! I'm looking forward to many years of reading Duchess Kate blog in the future! So I guess my hope for a family photo is not going to happen. Maybe we will be lucky and they might release some tonight. What do you think Charlotte? I just realized that we might see both Charlotte and George at the polo game. So I think that I will be counting on that. At least I hope so. A reader recently asked about rumours regarding a possible trip to Canada for the Cambridges this autumn. There's nothing officially decided, but a couple of royal reporters believe there's a strong possibility. It would be such fun to see William and Kate visit Canada again, perhaps with the children. It would be awesome if they went with their children. I would love if Kate went away for couple days her self. We never did get that tour bc she had HG with Charlotte. In the first photo of Charlotte, I think she looks a lot like Kate's paternal grandmother, Valerie. That wouldn't surprise me. I think Kate looks like Peter and Valerie. She has Valerie's high cheeks for sure and Peter's coloring. Princess Charlotte, to me, really is a little genetic chameleon as someone said. One day she looks like Elizabeth, then Lady Chatto, then the Queen Mum, then William, then Carole. I did see Valerie in that first photo though. What beautiful pictures! 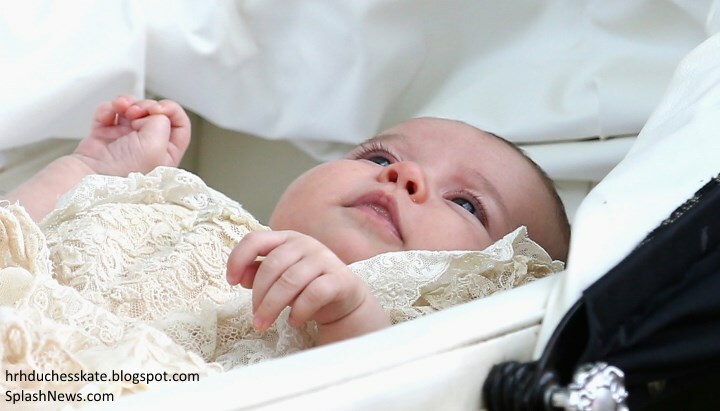 Princess Charlotte is absolutely precious! Kate did a wonderful job capturing Charlotte's sweet personality. I have to agree with our Charlotte that my favorite is her pushing the toy on the lawn. Such a sweet and delightful little smile! Such a special treat for us on such a special day! Are those the sweetest little girl photos or what? Soooo sweet. Now, I want a portrait photo from Kate of the most fiesty family member. Lupo. This is the most stalker-like thing I've ever done but I was sort of figuring out about when Kate got pregnant with Charlotte. I suppose it was a month or so after George's 1st birthday. Soooooo, if she wants to keep the spacing the same, she may be pregnant (and hopefully done with her debilitating sickness) in the Fall. Is it just me or does Charlotte look NOTHING like herself in the Annie photo? I keep coming back to it as I look through all the pictures we have of the little princess and its the only one that just looks so strange. Was it edited? She just doesn't look like that in the other pictures at all. grandchildren picture. She seems to have a very changeable face according to her expression. I thought maybe we got four pictures because the DoC knew the photo with the Queen wasn't PC's best and she wanted us to see how beautiful she is in reality. as I was comparing Charlotte's photos to find out who the Princess most resembles. Their photos have had me questioning before, like the photo of Wiiliam, Kate, George and Lupo in the window with George supposedly looking at Lupo, and then the one of the four of them in the yard with Charlotte on Kate's knee where it looked like William was looking at George until you you looked closely and then it didn't seem that way as much. Just something odd that caught people's attention about the photos in the first place. Don't know why they wouldn't just take a photo and leave it at that, and I am not saying they didn't. But I am not convinced they haven't been photoshopped either. I thought she looked a wee bit "tense" but that is to be expected given the scenario at the time. Here's a nerdy question for those who know about such things. The copyright is HRH Duchess of Cambridge. However the assumption is that these names change with time. For example if you copyright something Prince of Wales - yet you cease to be Prince of Wales because you became King and someone else becomes Prince of Wales - you've lost the ownership of it. I would suspect that the Cambridge title would pass to George upon a certain age and it would be his wife who is then HRH Duchess of Cambridge. Because Kate is now HRH Princess of Wales, Duchess of Cornwall (which goes with the Prince of Wales title). Am I correct in my logic? I think the copyright is maintained through original application date. Just a guess. IF William is granted the title of the Prince of Wales, always at the discretion of the reigning monarch, in this case, Charles, it is my understanding that he would retain the title of the Duke of Cambridge--hence, Catherine would remain the Duchess of Cambridge. This title would not be passed down to George until William assumes the thone, as King. Only upon Williams ascension, would the title of the Duke of Cambridge be freed to grant elsewhere, by William. That gives Kate's copyright a relatively long life, which, I would expect, could be lengthened legally, at a date which would coincide with her loss of the title, the Duchess of Cambridge.--And not to worry, in the case of a divorce between William and Kate; it is tradition that Kate would lose her HRH, but she would still have the right to be known as Catherine, Duchess of Cambridge unless she remarries. Again, I think that she could retain her copyright, via a simple legal step, or, if necessary, by court action. After all, there would be no choice; half the world could testify as to her true identity: ex HRH, The Duchess of Cambridge, now Catherine, Duchess of Cambridge, about to become Mrs. Catherine Smith. She shouldn't have any trouble retaining the copyright throughout her life, provided that she has competent legal advice. Awwwww! Sooo cute! 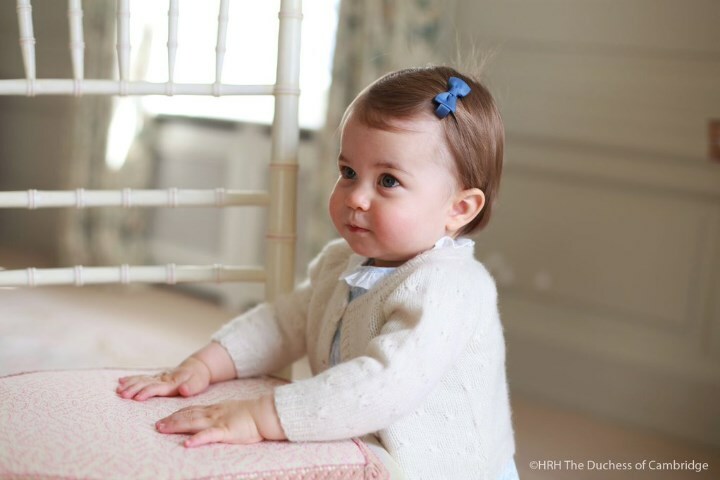 And has anyone else noticed the little bits of Princess Charlotte's hair sticking up in the photo with the blue bow? Adorable! Kate's given an interview to Vogue ! Such angelic photos of a sweet little girl. Very generous of William and Kate to give us a glimpse of their little girl just being a little girl. Charlotte, lots of royals recently attended King Carl of Sweden's 70th birthday, including from outside of Europe. Any idea if the BRF was invited or if a representative attended? 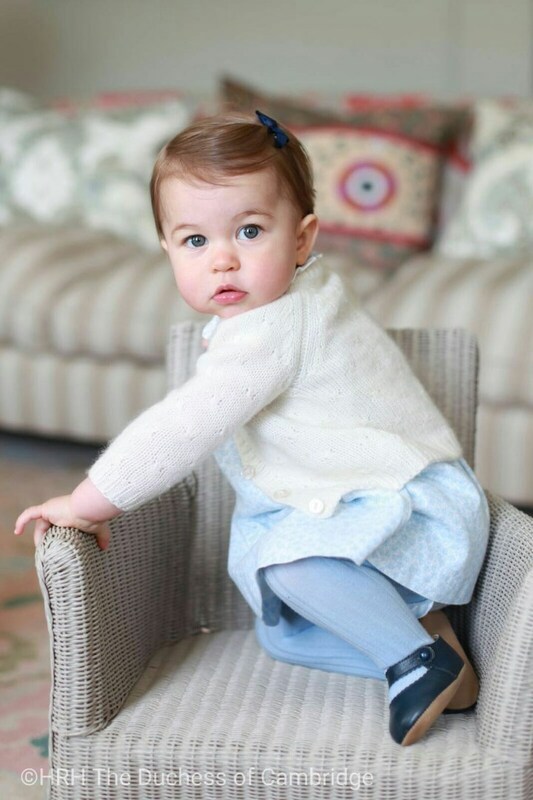 Princess Charlotte could not be any cuter. She seems quite mature and self-composed. Very beautiful. How beautiful HRH looks with this maquillage.